Berrolia is a family business, founded by the father of the current CEO. In late 60’s he started a small local watch repair and renovation workshop. With the passing time it became a place of genuine craftsmanship and passion. Besides watchmaking, he made beautiful knives and accessories from steel and leather. Berrolia is now run by Anna Zyzik-Mackiewicz and Michal Mackiewicz, an entrepreneur and professor of economics at the University of Lodz. Berrolia No. 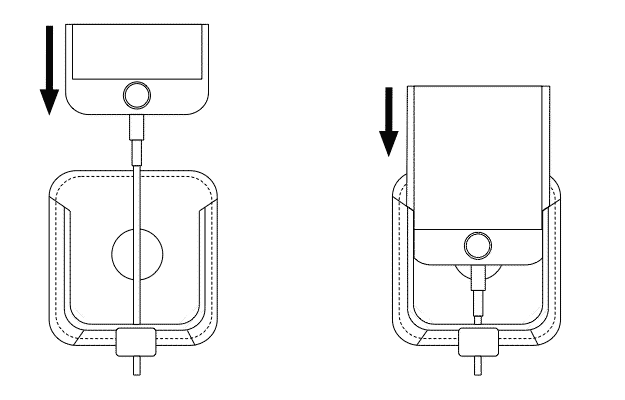 1 car mount emerged as a result of many hours of testing and refining, with one objective in mind – to create an ultimate charging mount for the iPhone. Everything at Berrolia is manufactured locally. 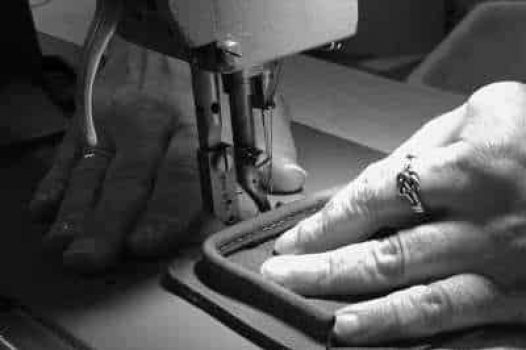 All Berrolia’s craftsmen and suppliers work within a 30-kilometer radius from the company’s headquarters. The leather used to manufacture the mounts come from the same Italian factories that make leather for the Italian luxury cars. Over the years the Berrolia’s values and foundations remain the same. It delivers the best quality and craftsmanship to support the inherited tradition. Every product is made with attention to details, usability and workmanship. 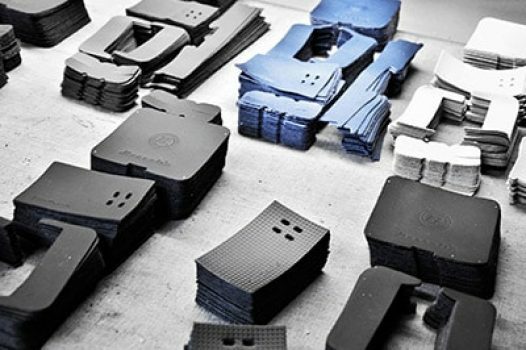 Each car mount is hand made by an experienced craftsman from individually selected materials. This is no mass production. Berrolia No. 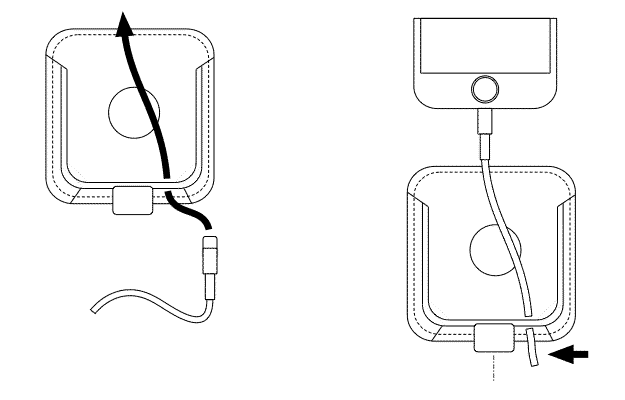 1 is compatible with the original Apple Lightning cable – the one that comes with your iPhone. Berrolia No. 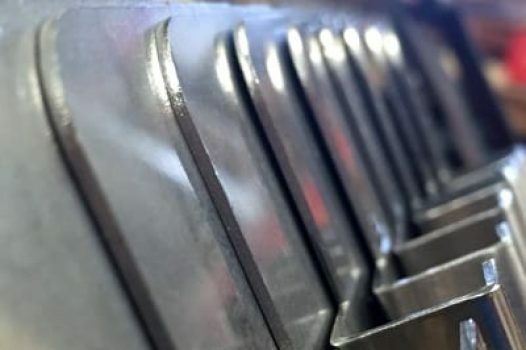 1 fits cars with horizontally oriented air vents – this is some 98% of cars. 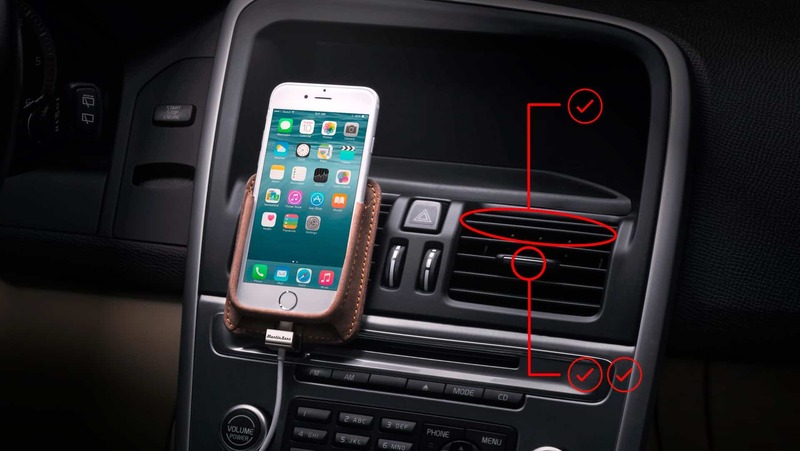 There are three ways to securely place our holder in your car. Is it safe to the dashboard? Yes. The back of the Berrolia No. 1 mount is covered with soft leather, so it is absolutely safe to the surface of the dashboard. The mounting clip is thermo-coated with three layers of special SoftTouch cover to keep the air vents safe and untouched. But I have only one charging cable! That’s perfectly fine. We designed Berrolia No. 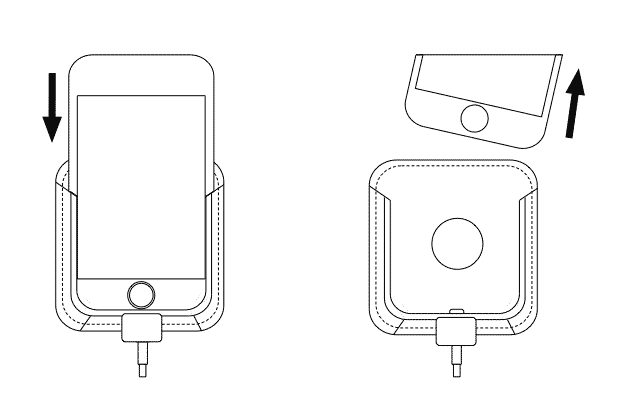 1 the way that makes it extremely easy to insert the iPhone using just one hand. This way you can charge it a little bit every time you get into the car. Our experience shows that commuting about 40 minutes a day (that’s what most of us does – at best) is enough to keep your iPhone charged all the time. So you just do not need another cable! Charging so often.. Is it safe to my phone’s battery? Absolutely. Modern phones (including the iPhone) have batteries that can be charged as often as you want. It does not affect the battery in any way if you charge it, let’s say, several times a day for fifteen minutes. 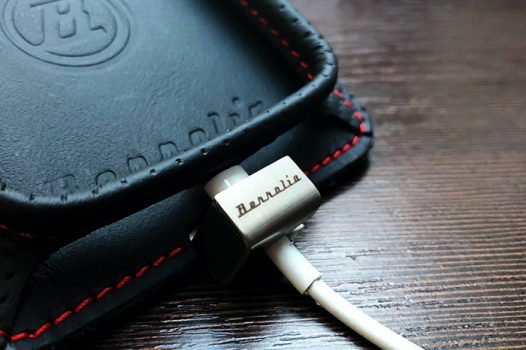 So you can safely charge your iPhone each time you get into your car. Simply clip the mount onto the air vents and you are ready to go! Use the thicker part of an air vent – the one that is normally used to change the direction of the air. This method may require a little more force, but usually results with stronger grip.